J & W Hardie Ltd.
Five Stars! 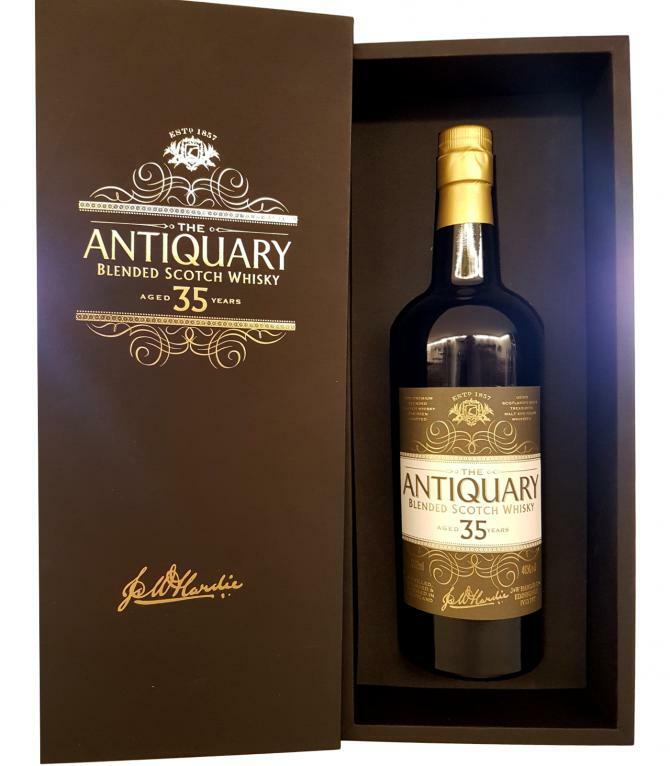 for a thirty-five years old blend. I guess you need power and will to do that. It’s a blend by the lovely folks at Tomatin, and I’ve heard that this is actually 50% Tomatin and 50% Girvan. I’ve also read that there are 800 bottles only. Colour: gold. Nose: a Bugatti on four cylinders, that’s still a Bugatti. Old Tomatin really shines through, with quite a lot of acacia honey and mango chutney, as well as well-matured orange liqueur and drops of pineapple juice. A little old wood in the background, sprigs of tobacco, a touch of guava… It’s all very perfect, fresh, complex, elegant, and fruity. You cannot be against that. As for Girvan, well, it remains silent. Shall we complain? Mouth: it’s old Tomatin, and it’s just perfect. Mangos, guavas, papayas, green bananas, pollen, honeydew, a touch of mint, a touch of green oak, and basta. I cherish these light and lively fruity profiles. Half a cup of cold green earl grey tea. Finish: medium, on freshly squeezed oranges, with added drops of mango and maracuja juices. A spiciness from the old wood, but that’s just an ornament. Comments: the malt dominates, and it does it well. Perfect one-malt-driven old blend. SGP:651 - 90 points. Palate: Caramel, ample, with sweet tart notes, mixed with tropical fruits and berries. 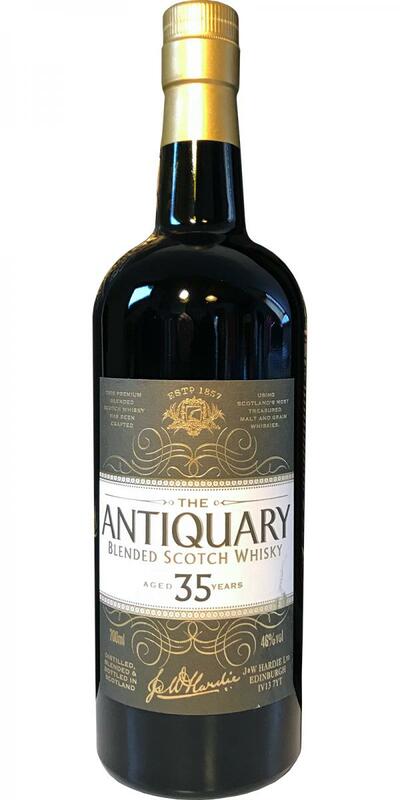 The age shows in echoes of polished leather and old wood, in addition to fresh citrus notes and slight spicy notes. A round, malty character with gentle peppery undertones. Finish: The dense caramel sweetness continues and then dries off, leaving fruit flavors and oak notes behind. Nose: very refined. Lots of oranges up front, with green apple and juicy yellow plums. Whitecurrant. Pink grapefruit. Dried apricot in the background. Whiffs of honey-coated almonds and cinnamon, with a lovely waxy layer and very light heather smoke underneath. Like a single malt. Mouth: same (slightly thinner) fruitiness, with peaches, Grand Marnier, guava and berries. Hints of vanilla biscuits. A little mocha and caramel. Rich, waxy oak in the distance. Cinnamon and nutmeg. A glimpse of the 1970s Tomatin exotic fruits in the aftertaste. Finish: long, still very refined, with no grainy notes whatsoever, and very smooth oaky notes. 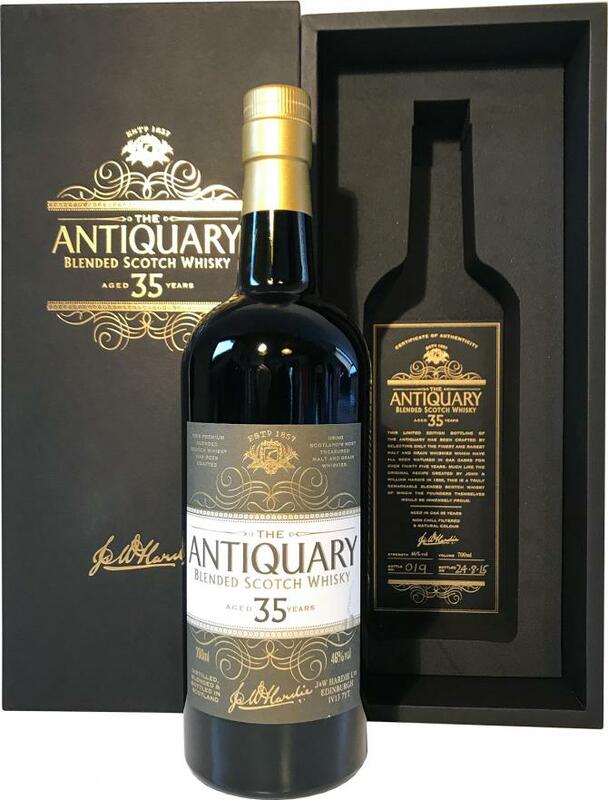 The Antiquary 35 year old is quite remarkable and possibly the best blended whisky I’ve had the pleasure of tasting to date. Tasted blind, you’re highly unlikely to peg this as a blend at all, such is the quality and emphasis on old style fruity Tomatin. Complexity levels are through the roof here – this is the type of whisky you could sit and write about for hours – aromas and flavours transforming and merging within your glass. Totally enthralling stuff. Elegant and compelling. An immediate fruit-fest – massively pronounced orange and tangerine alongside apples, pineapples, apricots and a pile of dried berries. Late 70s/Early 80s Tomatin completely in charge here. Honey, roasted almonds, tobacco and old, but still somehow still lively wood add to the mix, marrying quite perfectly with the fruit salad. Rested for between 30-60 minutes, takes this up another level – clementines, mangos, guavas, brass polish, chocolate digestive biscuits, vanilla and a touch of ginger. The addition of water (be oh so sparing) brings out more patisserie-led aromas – cream buns and choux pastry. Utterly enthralling and worth the long resting period. Somehow even better than the amazing nose. Refined, indulgent and awash with pronounced fruitiness. Tropical now – pineapple, guava, mango, fresh bananas still on the tree. Furniture polish, dusty old books, honey and heathery florals and grasses. Incredibly fresh and all incredibly balanced. Rested, again this one excels – waves of bright, crisply defined fruitiness, biscuits, vanilla cream and orange liqueur. In the back-palate, yet more fruitiness – syrupy and from a tin. Water – barely more than a drop here brings out the cask influence – sappy, still remarkably fresh with swirling cinnamon and a mere sprinkle of ginger powder. Wow. Medium to long and packed full of orange juice concentrate, white pepper and a sprig of mint. Ralfy review 701: https://www.youtube.com/watch?v=7GS0xkmoUbo (93/100). N: Back to tincture sweet, one that comes with a mineral-vegetal-candy fruit complex. T: Same on the palate. Careful with the water. F: ........ lovely. A big range of flavours here. C: Just like TBWC's 35yo WB, excellent indeed. Seems like 30+ is optimal for Tomatin, much like Balblair..